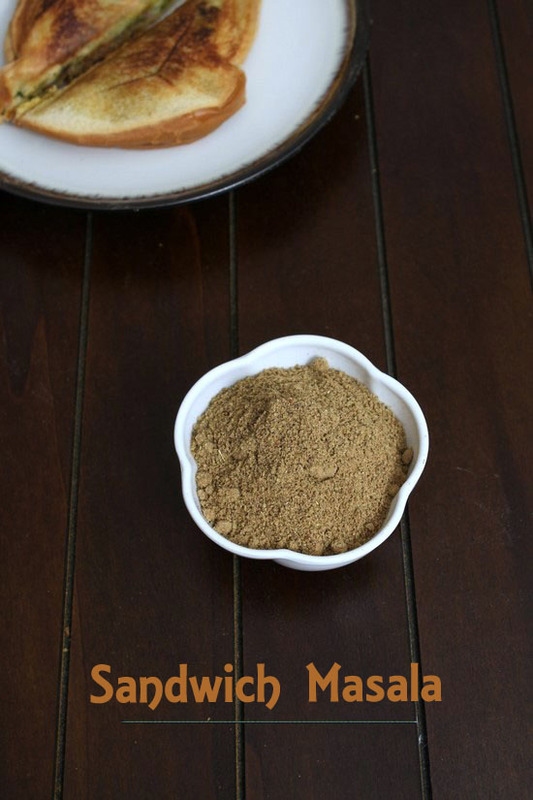 Sandwich masala recipe – It makes the sandwich more tasty. 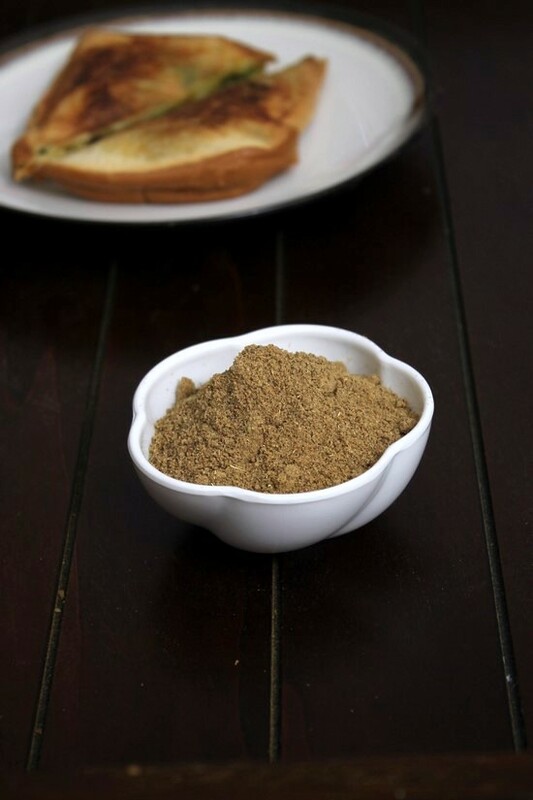 I am making this sandwich masala powder at home since past 4 years. Earlier I was making sandwiches without this masala and it was tasting good. But after sprinkling this masala into the sandwich, it tastes better, much much better. So from then I am in love with this masala. I never make any sandwich without this masala. I have already shared this recipe in my veg grilled sandwich recipe. But I wanted to make the separate post for it. So I can show my love for it. It is must for me. And you should give it a try. 1) Take whole spices (cumin seeds, fennel seeds, cloves, peppercorns and cinnamon stick) in a pan. Turn the heat on low-medium. 2) Dry roast them with stirring continuously. Roast it for about 5 minutes, or till you get nice aroma of spices. Then turn off the stove. 3) Remove the spices to a plate. and let it cool down completely. Add black salt and amchur powder. 4) Once spices are cooled, take into the dry spice grinder or blender. Make fine powder out of it. Store in airtight container. Use as needed. Shelf life: It stays fresh for 7-8 months in airtight container at room temperature. Always use clean spoon (not wet) to get the powder out of the jar. Otherwise it reduces the shelf life. Serving suggestion: It is used while make sandwiches like grilled sandwich, Bombay vegetable sandwich or bombay masala toast sandwich. Just sprinkle a little bit of masala inside the sandwich, it tastes fabulous. Take whole spices in a pan. Turn the heat on low-medium. Dry roast them with stirring continuously. Roast it for about 5 minutes, or till you get nice aroma of spices. Remove the spices to a plate. and let it cool down completely. Once spices are cooled, take into the dry spice grinder or blender. Add black salt and amchur powder. Make fine powder out of it. Wow so simple! Never again am I buying sandwich masala from supermarket!